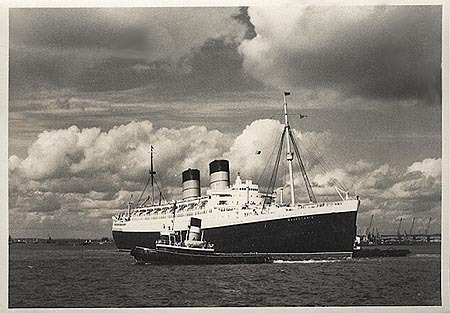 This page is devoted to postcards and photographs of the Cunard Liner Mauretania (2) of 1939. 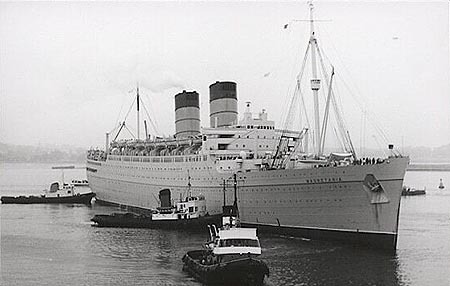 Mauretania (2) was built by Cammell Laird of Birkenhead, and was the largest ship built in England up until that time. 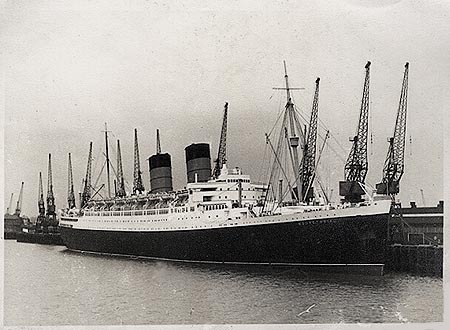 She was also the first new ship delivered to the combined Cunard-White Star Line. 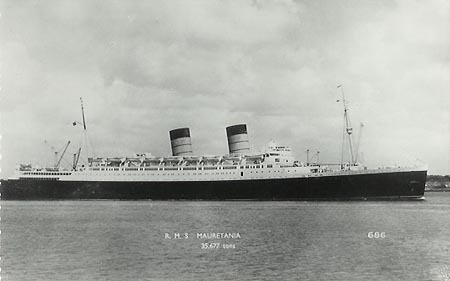 Mauretania (2) made her maiden voyage from Liverpool to New York on 17th June 1939. 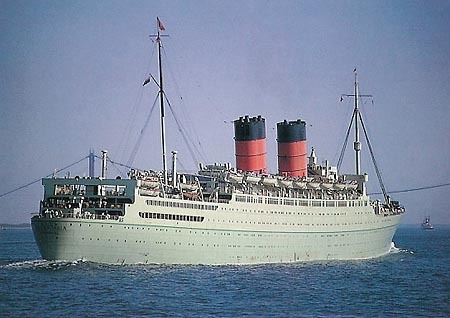 She made two Atlantic crossings after the start of WW2, before being converted into a troopship in Sydney in 1940. 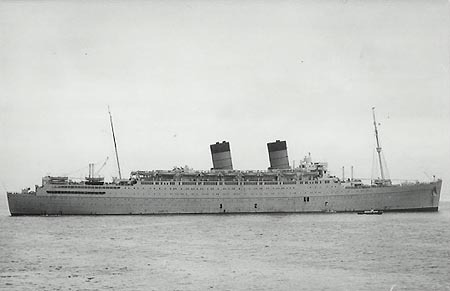 Mauretania (2) continued as a troopship throughout the war, travelling 540,000 miles and carrying over 350,000 troops. 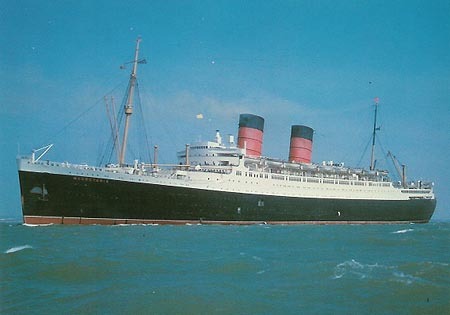 Mauretania (2) returned to Cunard-White Star service in 1947, mainly on the Southampton-New York route. 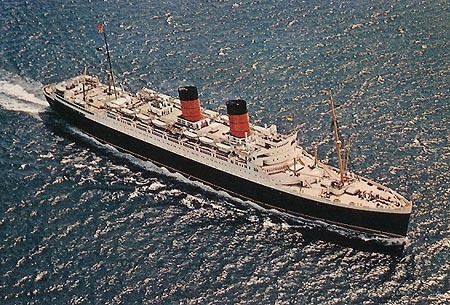 She was also used for cruising, including a world cruise in 1958. 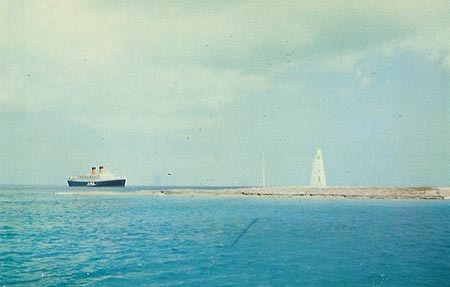 Mauretania (2) was painted "cruising" green in 1962. 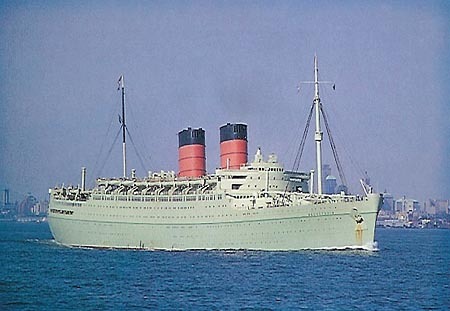 She moved to the New York-Mediterranean service in 1963, and made her last sailing, New York-Mediterranean-Southampton in September 1965. 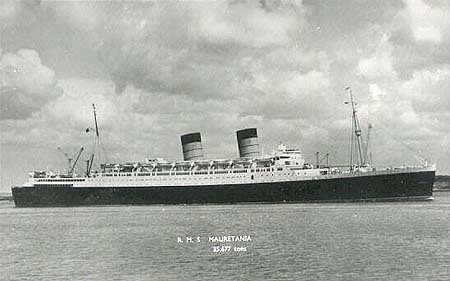 Mauretania (2) was then sold for scrapping at Inverkeithing. 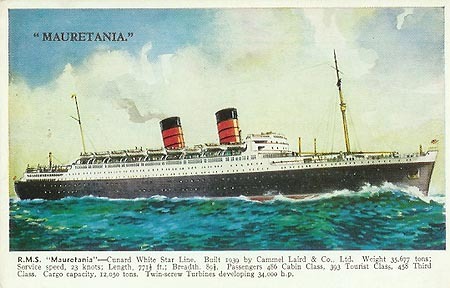 Cunard White Star Line art postcard of Mauretania (2). 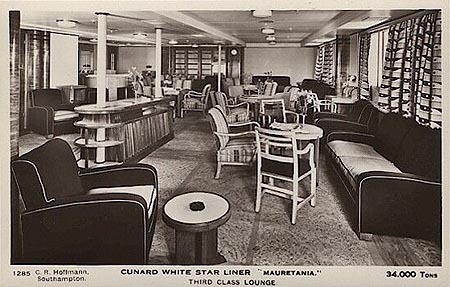 Cunard Line art postcard of Mauretania (2). 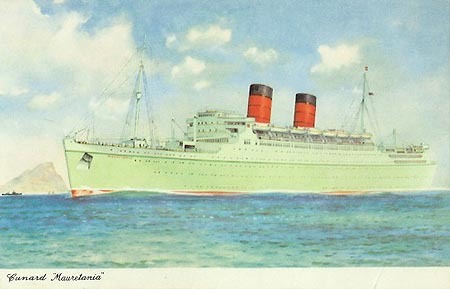 Salmon art postcard of Mauretania (2). 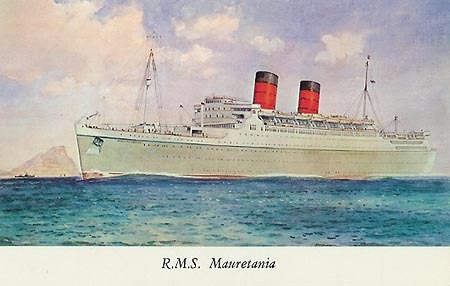 Valentine's art postcard of Mauretania (2). 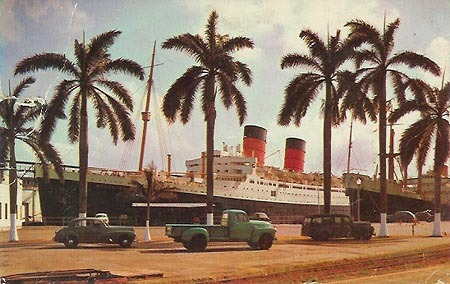 An interesting postcard showing Mauretania (2) at Cristobal, Panama, posted from Cuba in 1955. 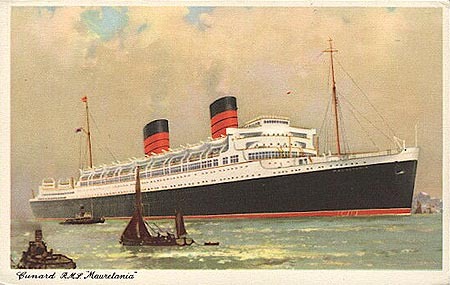 A less common J.Arthur Dixon postcard SS.7 (C.T.457) of Mauretania (2). 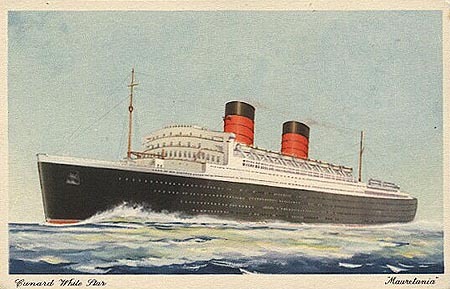 The more common J.Arthur Dixon postcard SS.107 of Mauretania (2). Photo: &COPY; Beken of Cowes. 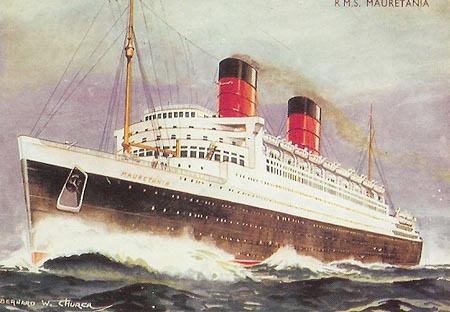 Cunard Line art postcard of Mauretania (2) with green hull. Art postcard of Mauretania (2) with green hull. 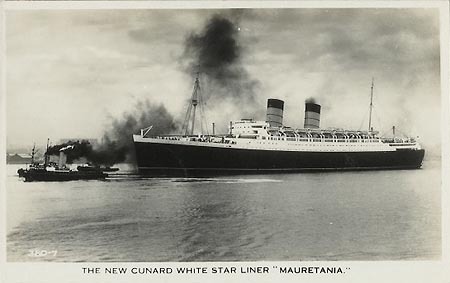 Sepia postcard of Mauretania (2) with green hull. 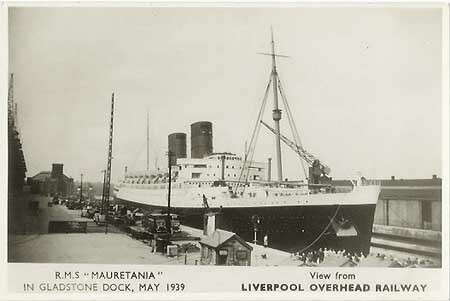 Real photographic postcard of Mauretania (2) at Liverpool. 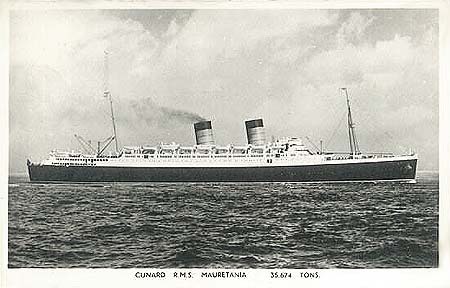 Real photographic postcard of Mauretania (2) in Table Bay in wartime. 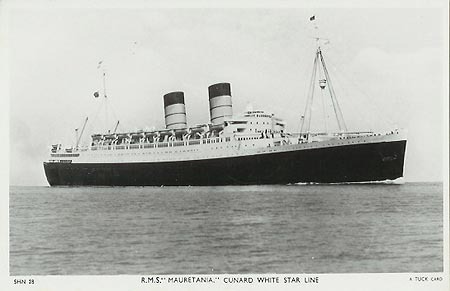 Real photographic postcard of Mauretania (2). 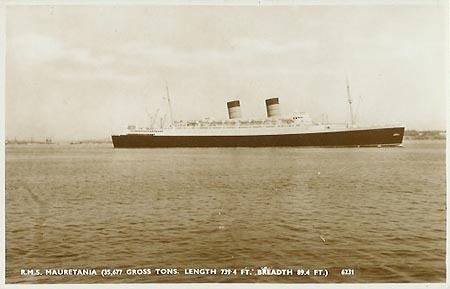 Three variations of Valentine's real photographic postcard of Mauretania (2). 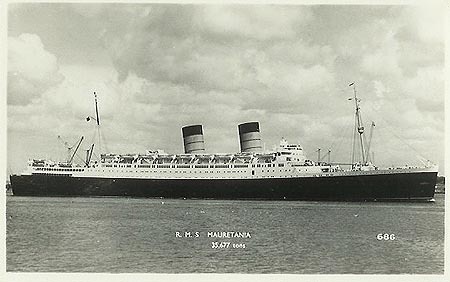 Real photographic postcard of Mauretania (2) at Southampton with green hull. 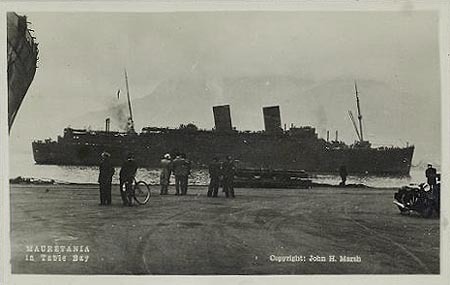 Duncan real photographic postcard of Mauretania (2) with green hull. 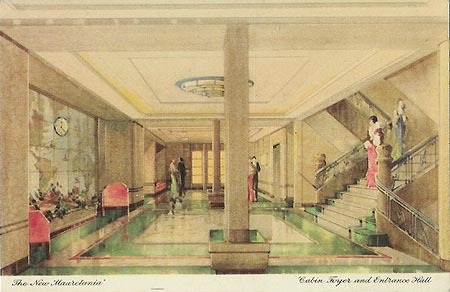 C.R.Hoffman real photographic postcard of Grand Hall on Mauretania (2). 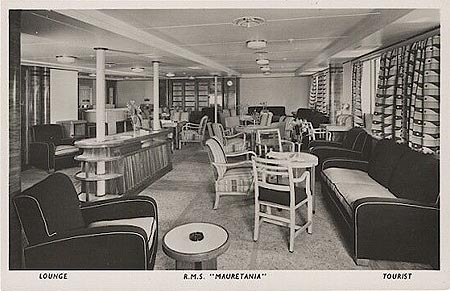 C.R.Hoffman real photographic postcard of 3rd Class Lounge on Mauretania (2). 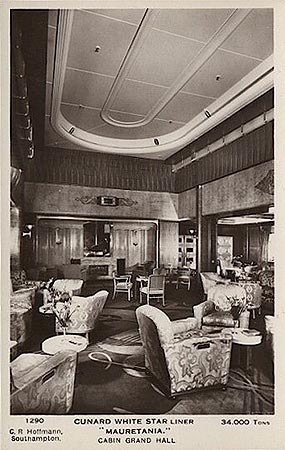 Real photographic postcard of Tourist Lounge on Mauretania (2). 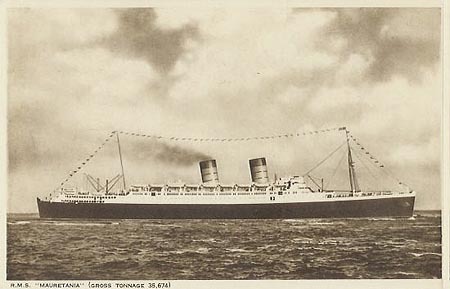 Same image as card above - 3rd Class was renamed Tourist Class. 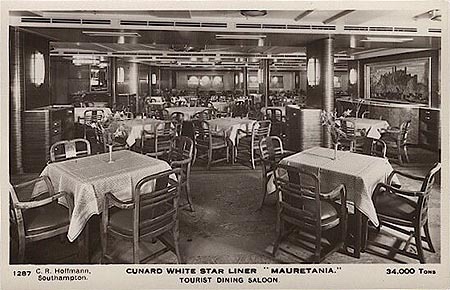 C.R.Hoffman real photographic postcard of Tourist Dining Saloon on Mauretania (2). 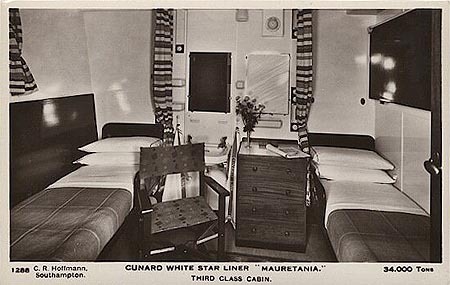 C.R.Hoffman real photographic postcard of 3rd Class Cabin on Mauretania (2). 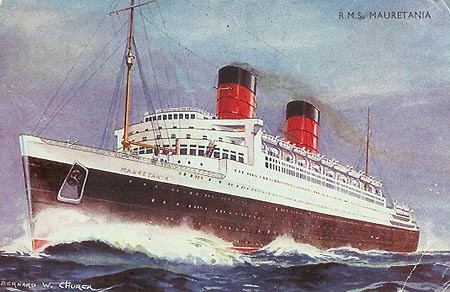 Modern reproduction of the Salmon postcard of Mauretania (2) shown above. The image has been distorted to fit the taller format. 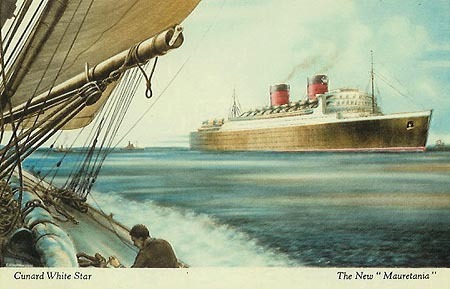 Two Modern CT Publishing postcards of Mauretania (2) at new York. 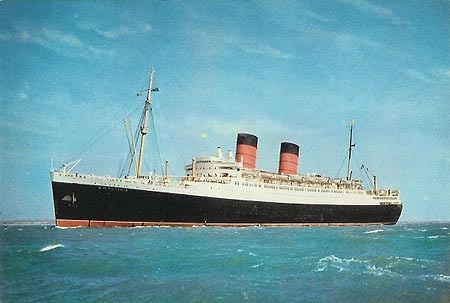 I think that these superb photos are amongst the finest ocean liner cards ever issued.